Tokusen is firmly committed to serving society as global experts in special metal wire. Starting in 1934 with the production of metal wire for textile machinery parts, Tokusen Kogyo has been producing metal wire for an impressively diverse range of applications, from automobile tires, engines and electrical appliances to industrial equipment. Today we also produce precision wire and processed parts for such fields as semiconductors, solar cells, office equipment, and medical devices, and have rapidly developed these products into a major part of our business. For over 70 years, we have remained dedicated to the production of increasingly complex, high-performance, high value-added wire products. Placing priority on our close relationship with customers, we will continue to refine our core technologies and expand our product range to meet steadily evolving needs, with the aim of serving society as a unique and innovative expert in special metal wire. TOKUSEN U.S.A., Inc. was incorporated on October 17, 1989, as a new American company primarily in the business of manufacturing steel tire cord. Our parent company, TOKUSEN KOGYO, Ltd. (TKC) of Japan, has been a quality manufacturer of wire products since 1934. 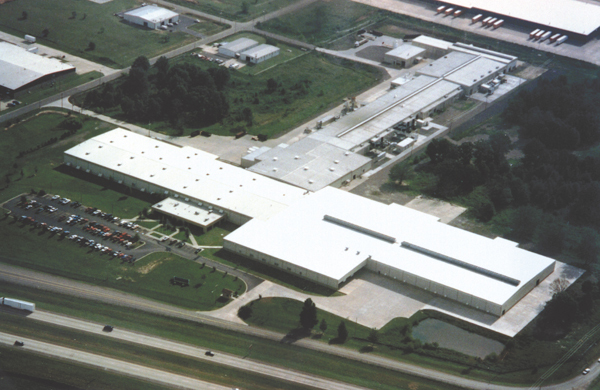 TOKUSEN was incorporated to assume the responsibility of manufacturing wire products for the automobile tire industry in the United States that were previously manufactured by TOKUSEN, Japan. TOKUSEN, Japan has been very successful in these markets and has experienced tremendous growth and expansion. The goal of TOKUSEN is to continue this reputation of quality products and enjoy the same pattern of growth. "Contribute to Society by Achieving the Highest Quality"
We will produce high quality products and meet society's expectations. We will respect each other as human beings. We will make every effort to improve the technology of our business. We will take good care of all things.